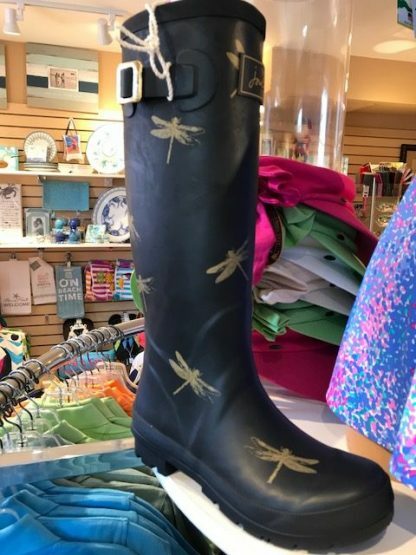 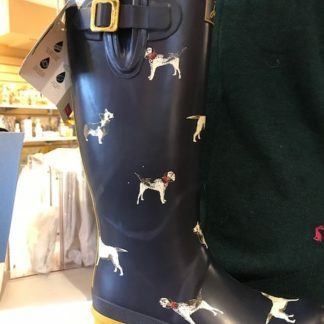 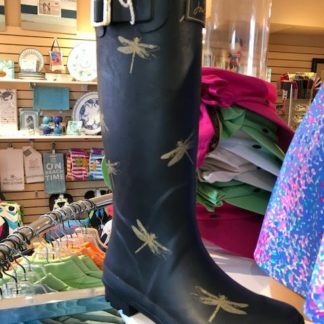 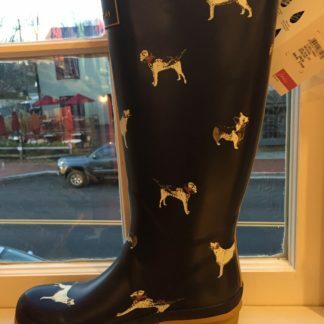 Fun and stylish tall Welly Boots sporting a gold dragonfly theme on black boots. 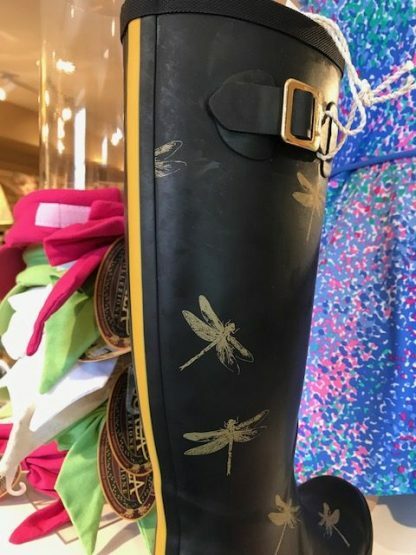 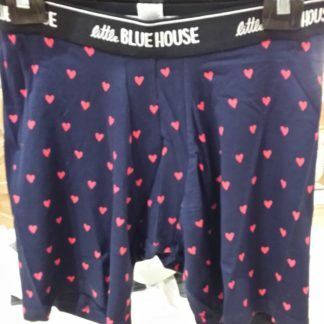 The pretty gold stripe down the back ties it all together. 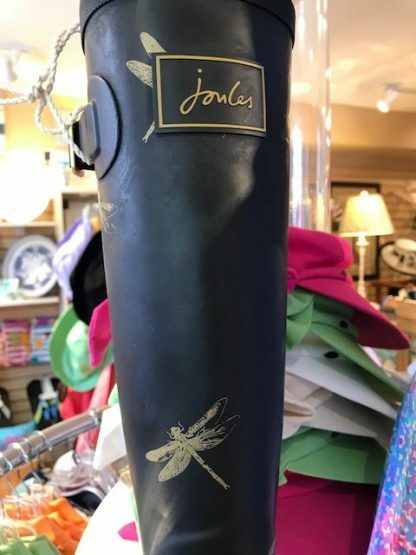 You will be noticed coming or going with these lovely boots!